The Jacob Bromwell Original Genuine Pyramid Toaster is old. As in old-timey charm, that is. 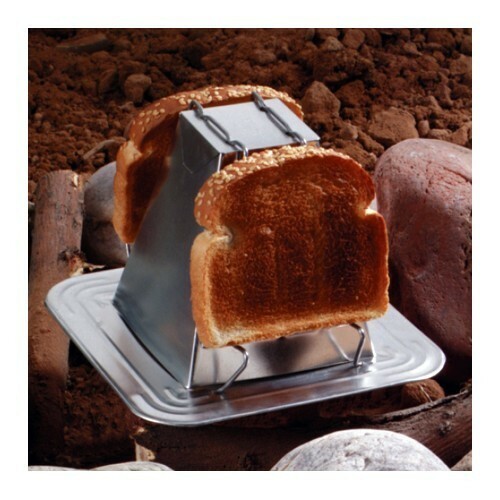 The camping contrivance is designed to be placed over an open fire and holds a couple of slices of bread at a time. Within a few moments, the device turns out nicely-browned toast, quickly and easily–no extension cords required.